Bring real science into the classroom! Would you like to have a real scientist come to your class to talk with your students? Learn about their research, find out what drives them and why they think it is important, discover what doing science is really like, learn about the science from an expert. Would you like to ask a professional researcher advice on a project? Collaborate on a project? The scientists listed below are eager to help you with science education and outreach and are willing to share some time with you.If you would like to contact one of them for a speaking engagement or have questions for them, please contact us using the form below or use the contact information provided for the specific scientist you are interested in speaking with. Please keep in mind that these scientists are busy individuals and are volunteering their time, so please be considerate of what they say they can and can’t do. Dr. Daniel’s interests are as diverse as his teaching. his main role at UAMS is an an anatomy instructor at UAMS for the first-year medical students, as well as the cancer lectures for the graduate Cell Biology course. 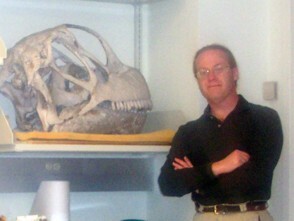 In addition, he has taught the Paleobiology and Vertebrate Paleontology courses at UALR. Daniel researches how the interaction between animals and their environment may affect our view of the evolution of life on earth, ranging from how fossils form to how animals evolve and spread through time. In addition, he uses evolutionary techniques to examine the spread of cancer cells. Most importantly, Dr. Daniel is interested in public education and science literacy, being guided by three principles:1) the universe is endlessly amazing, 2) knowledge is useful only when it is shared, and 3) you can’t really know something unless you understand how and why we think we know it. Dr. Jessica R. Scott is a paleoanthropologist who specializes in dietary and paleoenvironmental reconstruction, and an expert in the use of confocal profilometry and dental microwear texture analysis. Dr. Scott’s most recent projects use dental wear data from fossil mammals to reconstruct the habitats occupied by early australopithecines in Kenya, Tanzania, and Ethiopia between 2-4 million years ago. This research helps us understand the environmental pressures that may have influenced the evolution of our own genus, Homo. Dr. Scott has conducted research in South Africa, Kenya, Madagascar, Ethiopia, Egypt, and Great Divide Basin in Wyoming, and published in peer-reviewed scientific journals like The American Journal of Physical Anthropology, Mammalia, The Journal of Vertebrate Paleontology and The Journal of Human Evolution. 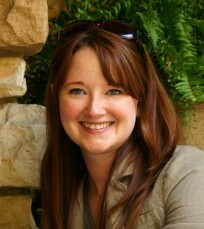 In addition to her position as Assistant Director of the Donaghey Scholars Program at UALR, Dr. Scott is also an adjunct professor of anthropology, teaching Introduction to Physical Anthropology, Human Paleontology, Dental Anthropology, and Egyptology for the Department of Sociology and Anthropology, and Science & Society II for the Scholars Program. Dr. Scott has given many school presentations and enjoys talking to classes. She may be contacted either through here or at jrscott@ualr.edu. 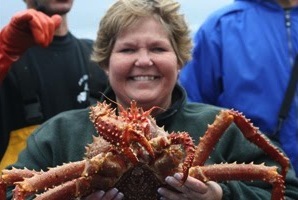 Dr. Shroat-Lewis’s research interests include all things marine, but her passion has always been echinoderms. She is interested in understanding echinoderm paleoecology and the connections between extinct and modern species. Although her interests vary, she is most interested in paleoecology, taphonomy, and predator/prey interactions in both ancient and modern communities. Dr. Shroat-Lewis teaches introductory geology, historical geology, paleobiology, and Geology of the Bahamas.